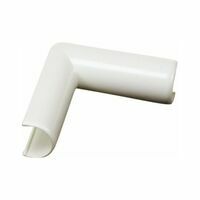 Wiremold Outside Elbow, Series: C Series, Cordmate, 90 deg, Wall Mounting, Plastic, Off-White, Ivory Wiremold Coupling Cord Cover, Series: C Series, Cordmate, Wall Mounting, Plastic, Off-White, Ivory, For Family Rooms or Bedrooms For making a 90 degree turn around an inside corner from wall-to-wall or wall-to-ceiling. For making a 90 degree turn around an outside corner. Hides and organizes loose cords and wire. Joins channels that hide and organize loose cords and wires. UL Listed. 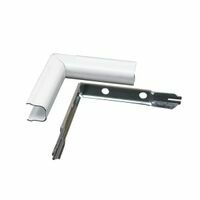 For installation requiring 3-way branching including 90-degree angle. 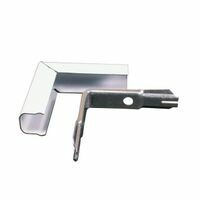 For making a 90 degree inside turn around a corner from wall-to-wall or wall-to-ceiling. For making a 90 degree outside turn around a corner. Mounting components for NMI wire channel, including screws and anchors, wire clips and joint cover. 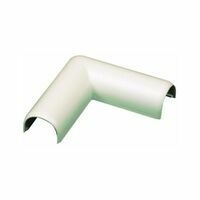 For making a 90 degree inside turn around a corner from wall-to-wall or wall-to-ceiling. 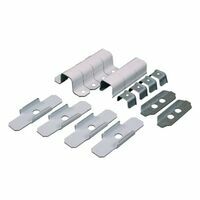 Mounting components for NMI wire channel, including screws and anchors, wire clips and joint cover. For making a 90 degree outside turn around a corner. For making 90 degree right or left turns on a flat surface. For branching wire channel in two directions at 90 degree angles. For branching wire channel in two directions at 90 degree angles. 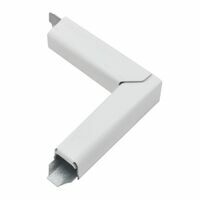 Split flexible tube allows easy cord insert and removal. Peel and press connector. Bridges loose cables running from components to on-wall channels. Easy installation, no tools required. For making 90 degree right or left turns on a flat surface. Used to make a 90 degree outside turn around a corner. Used to make a 90 degree right or left turn on a flat surface. Used to make a 90 degree inside turn around a corner, from wall-to-wall or wall-to-ceiling. 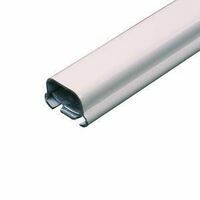 Wiremold Cord Channel, Series: CableMate, 5 ft Length, 9/16 in Width, 7/16 in Height, Plastic, Ivory, For hiding Permanent lamp Cords and Phone Cables Hides and organizes low voltage loose cords and wires. UL Listed. 1/2" height x 3/8" width x 5' length. For transitioning from nonmetallic raceway to conduit. Hides and organizes loose cords and wires. 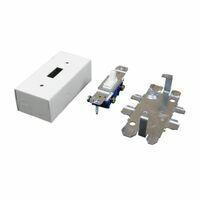 Fits over existing single gang outlet to feed power as the starting point for your system. 1" deep. For connecting raceway to conduit boxes with 1/2" knockout. Fits over existing single gang outlet to feed power as the starting point for your system. 1" deep. 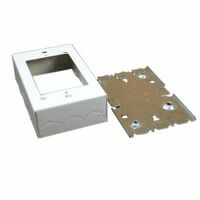 Wiremold Starter Box, Raceway, Series: 700, 1 Gangs, 1 in Depth, On-Wall Mounting, Stamped Steel, White Metal raceway. 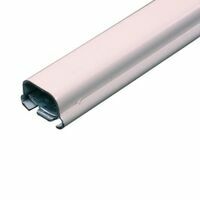 For transitioning from metal raceway to 1/2" conduit or from any steel box with 1/2" knockout. For mounting phone, fax, cable and audio connections (not for power). Paintable with a latex base paint. Simple to use, just peel off self-adhesive backing. 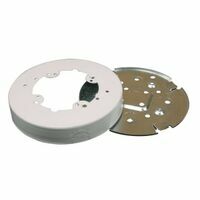 For installing speed controls for ceiling fans dimmer switches, standard switches and outlets. 1-3/4" deep. 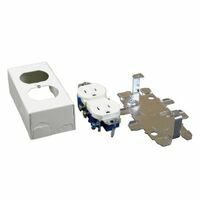 For installing dimmer switches as well as standard size switches and outlets. 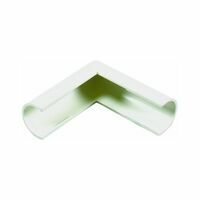 1-7/16" length x 1-3/8" depth. 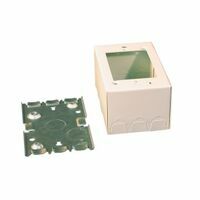 For installing speed controls for ceiling fans dimmer switches, standard switches and outlets. 1-3/4" deep. 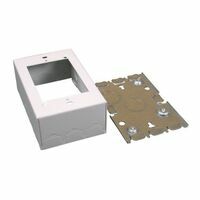 Wiremold Outlet Box, Raceway, Series: 700, 2 Gangs, 1-3/8 in Depth, On-Wall Mounting, Stamped Steel, White, UL Listed, For Heavy Duty Applications Including Brick Walls Concrete or Garages Wiremold Receptacle Box, Series: 500/700, 1 Gangs, 2 Knockouts, 1/2 in Knockout, 4-5/8 in Length, 2-7/8 in Width, 1.75 in Depth, Surface Mounting, Steel, Ivory, UL Listed, For Shallow Switches, Receptacles and Communication Devices Use to provide easy access to connections. For most residential wiring. For most residential wiring. 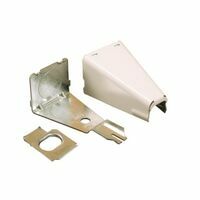 For installing speed controls for ceiling fans dimmer switches, standard switches and outlets. 1" deep. Carries wire from starter box to downstream outlet boxes, switches and fixtures. 5' length x 1-5/16" width x 7/16" height. Carries wire from starter box to downstream outlet boxes, switches and fixtures. 5' length x 1-5/16" width x 7/16" height. For most residential wiring devices. 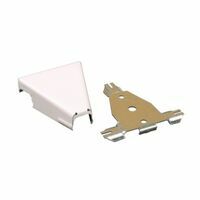 For installing a shallow switch or outlet. 1" deep. 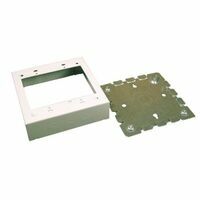 For installing a deep-dimensioned box for dimmers, speed control switches and other devices. 1-3/8" deep. For most residential wiring. For most residential wiring. Hides home audio/home theater cords that typically run in corners. Easy peel and press installation. Reversible cover for concave or convex profile. Paintable to match wall colors. 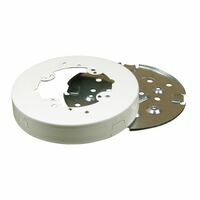 For oversized wiring devices such as fan speed controls, dimmer switches and GFCIs. 1-3/4" deep. 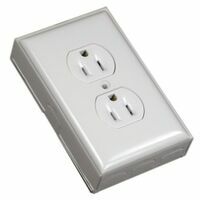 Expanded capacity for extra outlets or outlet/switch combinations. 4-3/4" x 4-7/8 x 1-3/8" deep. 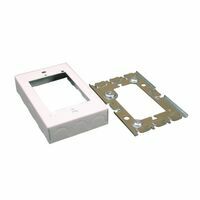 Wiremold Duplex Grounding Receptacle Box, Series: 500/700, 1 Gangs, 1/2 in Knockout, 4-1/8 in Length, 2 in Width, 1-3/8 in Depth, NEMA 5-15R/5-20R, Wall Mounting, Steel, Ivory, Includes: (1) 15 A/125 V Receptacle, ADA Compliant, UL5 Listed For bringing power to a light fixture, ceiling fan, smoke detector or other round based fixtures. Hinged, for hiding home office and home entertainment cabling. UL Listed. 5' length x 1" width x 1/2" height. Flat TV cord cover for hiding and organizing LCD/Plasma cords and cables. 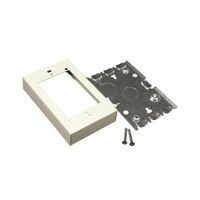 Paintable, with pre-drilled mounting holes for easy installation. Contains channel and mounting hardware. Flat TV cord cover for hiding and organizing LCD/Plasma cords and cables. 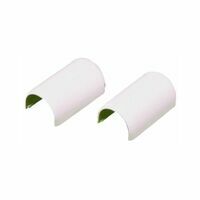 Paintable, with pre-drilled mounting holes for easy installation. Contains channel and mounting hardware. 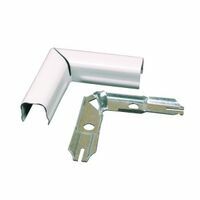 One each 12' of cord channel (3 sections, 4' long), inside elbow, outside elbow, T-fitting; 2 each flat elbows and couplings included. For covering home entertainment wires, speaker cables, tv/video cabling and home office wiring. Self-adhesive backing, paintable. 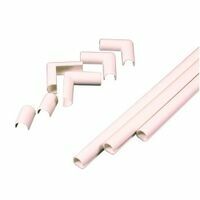 Contains: 4 pieces of raceway, each 30 inches long, 2 flat elbows 1 inside elbow 1 outside elbow 3 couplings 1 t-fitting. 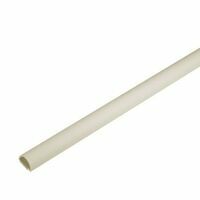 For concealing audio or home theater cords in corners. Peel-and-press installation. Cover reverses for concave or convex profile. Designed to work with cablemate and cordmate II systems for complete cable management.